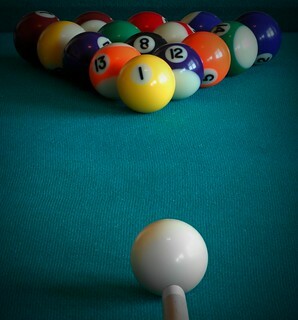 Ever wanted to learn how to play pool? This handy piece of technology actually helps show and thereby teach you all the numerous angles and trajectories needed in order to make the perfect shot at the pool table! Not only do you get to play the game but you can show others how you made the shot too! There was a scene on Star Trek once (I believe) where Spock had managed to send every ball to their pockets all in one shot- because he knew the geometry and the angles needed. I've always wondered if this was actually possible!